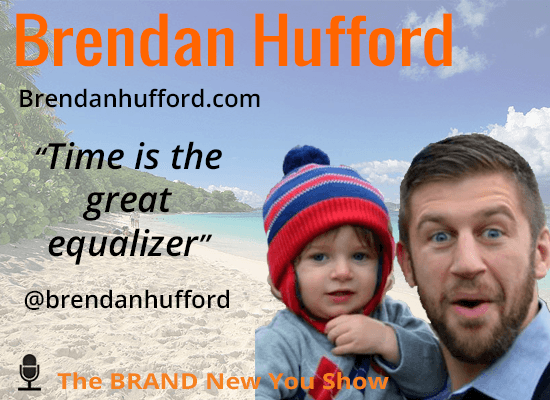 Today we welcome to the BRAND New You Show Brendan Hufford the Chief Happiness Jedi at Ok! Kimonos where he hustles around the clock to make the best kids BJJ Gis in the world. In addition, to running a 6 figure business, Brendan is also an assistant principal, a blogger, husband, father, a Brazilian Ju-Jitsu practitioner and a podcaster. As the Chief Podcast Jedi on his podcast, Entrepreneurs, and Coffee, three times a week Brendan releases a mixture of solo shows and interviews with high profile guests such as Gary Vaynerchuk, Michael Hyatt, Hal Elrod and Pat Flynn. One of his goals with the podcast is to help you find the best actionable advice in whatever area of your life and business that you want to take to the next level. Just as he promises on his podcast Brendan provides us with some serious inspiration, motivation and actionable advice in today’s show. Brendan, Welcome to the show. Special thanks to Brandon Heavey from the Strengths and Scotch podcast for introducing Brendan and I. We all have the same 24 hours in a day it’s what we choose to do with our time that matters. If you were to conduct a time audit of how you spend your time, what would you discover? To his time “in check”, Brendan has a two sticky notes on his computer. One reads,“ No news feed” meaning stay off Facebook. The other is a little more personal and reads, “Wasting time online is wasting time with your son and wife”. This one hits me maybe as hard as it hits Brendan. I’ll just let you marinade on that for a minute. In the intro I mentioned that Brendan is still a full-time teacher. We discuss the most difficult part of being a teacher. Hint: It’s not what you think. Having not gone to school to become a business owner, Brendan and I talk about how to gain the skills you need to be successful. We also walk through the 3 stages of blogging and Brendan’s Ah ha moment when he moved from stage 2 to stage 3. Critical to his business success, Brendan and I discuss the difference between mentors and heroes. Mentorship is a big ask and a lot more of a one-sided relationship. Heroes on the other hand are people you can learn from by watching from a distance. One of Brendan’s heroes is Pat Flynn from Smart Passive Income. Brendan and I discuss the pain points he sought eliminate with his company, OK Kimonos!. Brendan shares his thoughts on partnerships and customer service, including his unique exchange Gi program. This exchange program allows him to provide Gis to children in Brazil who can’t afford them. Brendan also donates to a program called Tap Cancer Out. If interested in learning more click HERE. 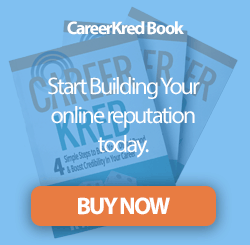 He talks about overcoming self-doubts as he started his business and his observations about his market as he was getting started as well as those doubts he still has and how he overcomes them. Thinking of starting a business? Brendan offers up where his best source of information on business comes from. If you’ve ever wanted some “behind the scenes” info in podcast production listen in. We talk about podcasts, why he likes them, why he produces them and of course his latest podcast Entrepreneurs and Coffee. We discuss the ins and out of podcasting, the time it takes, the research that goes into it, the editing, all of it. Brendan has a great series on his podcast based on the 10 rules to Brand Building Bobby Hundreds from The Hundreds. Brendan’s favorite brand rule is number 7: Kill ‘em all – We are here to make ends not friends. Finally we discuss Brendan’s biggest takeaway from his interview with Gary Vaynerchuck. The best way to get in touch with Brendan.